Today for Wedding Wednesday, I want to share with you what I used for the traditional Something Old, Something New, Something Borrowed and Something Blue. My something old was my great-grandma’s wedding band. We decided to use it for my wedding band. I had it since I was about 16, but I always wore it around my neck. It went along perfectly with my engagement ring. And it’s special because it has my great-grandma’s and great-grandpa’s initials in it. And my something blue is very special, too. I am the third “Diane” in my family. My grandma, mom and I, all have “Diane” as our middle name. 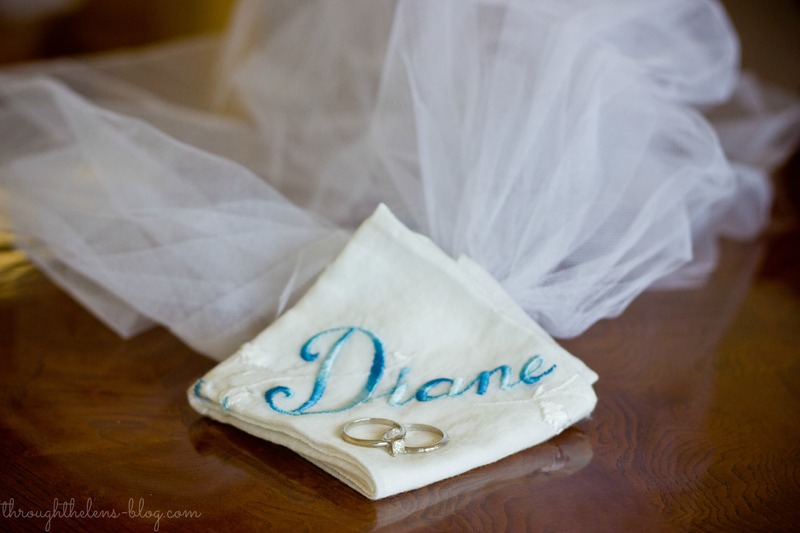 My grandma (the first “Diane”) had this hankie her wedding. I tucked this gorgeous thing into my wedding bouquet. 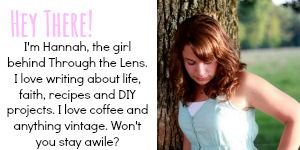 I had such a wonderful time coming up with these things and seeing how they all came together. Did you do the “Something Old, New, Borrowed, Blue” tradition? If so, what were they? I love that you were able to incorporate so many meaningful things into your “old, new, borrowed, blue.” I especially love the blue hankie. It’s so beautiful! I suppose that’s why I didn’t follow this tradition when I got married – it didn’t really mean anything to me, and I didn’t want to do something just for the sake of doing it. What a sweet handkerchief! Love what you picked out. I wish I had taken time to think of awesome stuff like this for my wedding! I LOVE that you have your great grandmother’s wedding band–that is SO special! And that hankie is absolutely beautiful! Such a great way to incorporate something old, something new, something borrowed, something blue! I love that you used your great grandmother’s wedding band! I used my great grandmother’s hankie as my something old as well. The fact that you have your great grandmother’s wedding band is amazing. I wish I had something like that to wear everyday. I just love these and how each of them were so close to your heart. That wedding band and engagement ring look perfect together too – it was meant to be! 🙂 Thanks for linking up with us! I absolutely love the hanky! Thanks for sharing your something new, something old, something borrowed, and something blue. That’s so sweet! I love the hankie and ring! The diamond in my engagement ring was passed down to me from my great aunt. One of our colors was blue so I wore blue shoes and earrings and borrowed a bracelet to wear. My wedding dress was new, but I cannot remember what my something old was (and our wedding was less than 3 years ago). Very nice!, having your grandma’s band is so lovely. I never had anything like this for my wedding as it was just a living room thing. Your special day will be Incredible I’m sure! Such a sweet post. Love how you were able to incorporate everything in such a super personal way. Fabulous…and so special! I love what you chose for each one. They are all so sentimental. I’ve gotta get thinking on what to use! It’s fun figuring it out! Congrats again, on getting engaged, Mary! Sweet, sweet memories, Hannah! Love you! Awww! I love that everything you used has such sentiment! this is beautiful. 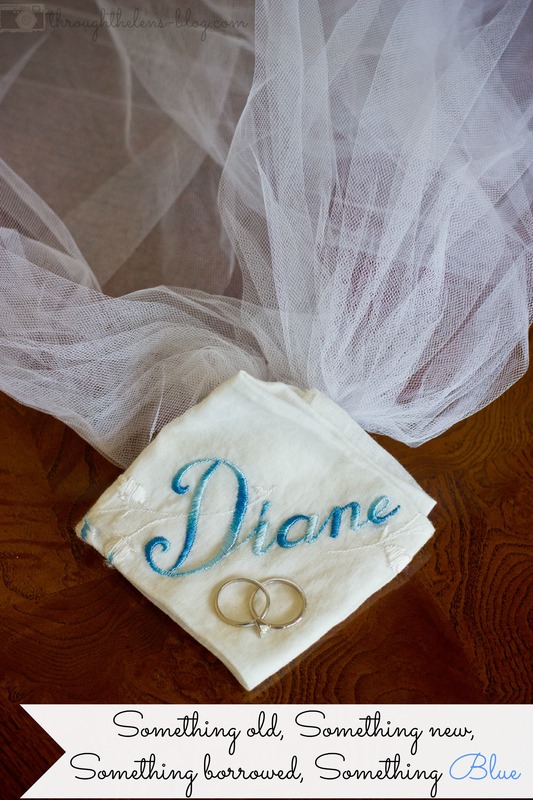 my grandma gave me my own hankerchief at my bridal shower – its my favorite gift and one that i’ll cherish forever. i’m sure yours is just the same. Beautiful! I love when items have meaning behind them. Aww these are great! I didn’t do all 4, but I did wear my momma’ wedding dress! how sweet! i will be ‘trying’ to do these in 10 months and I’m quite excited! yours are all so lovely and meaningful! Hi! Popping over from the Wedding Wednesday @ To Travel & Beyond. Congrats! What a beautiful handkerchief. This is so cute! I love seeing all the cute ways that people incorporate items from that saying into their wedding. Thanks for joining us for Hump Day Happenings!